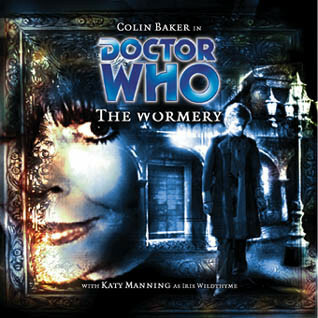 Tucked away between Zagreus and the start of the Divergent Universe arc is The Wormery by Stephen Cole and Paul Magrs. This is a Sixth Doctor story that introduces the character of Iris Wildthyme to Big Finish. Iris was created by Paul Magrs in the Eighth Doctor Adventures novel The Scarlet Empress. There’s one place in creation where the truth really can be found in the bottom of a glass: Bianca’s, a very special and very exclusive little club. The Doctor, careworn and seeking quiet distraction, gains admission. But his rest and relaxation is soon shattered by the wobbly arrival of louche trans-temporal adventuress Iris Wildthyme. She claims she’s on a secret mission of vital importance, the success of which hinges on her getting paralytic. When she’s drunk, she can hear the whispering voices in her head! An old woman named Mickey is telling a stranger the story of the time many decades ago when she worked in 1930s Berlin. There she worked in Bianca’s where she met a vast range of characters the least amongst which were the Doctor and Iris Wildthyme. Through a set of damaged tape recordings from the time Mickey tells the story of how Iris found a dark truth about her own future and the Doctor, once more, saved the cosmos. There’s plenty of creativity here and a massive spoiler. Given how long ago this was released (2003; I finally picked it up in the recent 51-75 sale) I will reveal most (though not all) of the twists. The club is actually in deep space on a nexus point where wormholes join it to various planets at various points in history – 1930s Berlin is just one of them. The worm theme continues – Tequila style there are two factions of worm like creatures intending to use their influence to shape the future of the cosmos once Bianca’s club is ready. There is an enormous amount more. We get a predictable Iris loves the Doctor plot line but also the growing attraction between the Doctor and Bianca. Fairly fast we spot that Bianca is probably a future version of Iris herself. It gets more complicated – Bianca is to Iris as the Valeyard is to the Doctor. This gets the Doctor complaining to both Iris and Bianca that they are just imitating his life — an almost Fourth Wall crossing piece of writing which has Paul Magrs’s fingerprints on it. Iris Wildthyme in a couple of the novels I have read does seem to exist to de-construct the Doctor’s story. If this wasn’t enough we realise that the club is in fact what is left of Iris’s double-decker bus TARDIS. And just how many times will Bianca attempt to kill Iris to grab some extra regenerations? Juggling all those ideas we mustn’t overlook the plot of the shadow figures to take over the bodies of the guests and just who is the stranger Mickey (remember her?) is talking to? [The device of having Mickey relate the story in segments added to the overall feel of the story very well. As history has shown Katy Manning is a brilliant Iris and Marie McErlane as Bianca makes a wonderful counterpoint to stop the piece descending into anarchy too fast. All we need is a trip in the Number 22! Although there is a lot happening that never obscures the story and Gary Russell must take some credit for his direction. I hadn’t rushed to pick this up before (too much else to listen to) but I am glad that I did. This is definitely a release I will be listening to again. Agree it’s absolutely one to re-listen to. In fact, I didn’t much care for it the first time I heard it – in part, I think, because I didn’t know what to make of it. On re-listens I’ve come to appreciate the well crafted structure, the amusing allusions to Trial of a Timelord (making it a kind of meta-pastiche), and above all the atmosphere. Now it’s a favourite. Simon – thanks for your thoughts. It’s nice to be pleasantly surprised at the quality of something you pick up with no expectations.